Why not hire us for your team building, office stag or hen do. 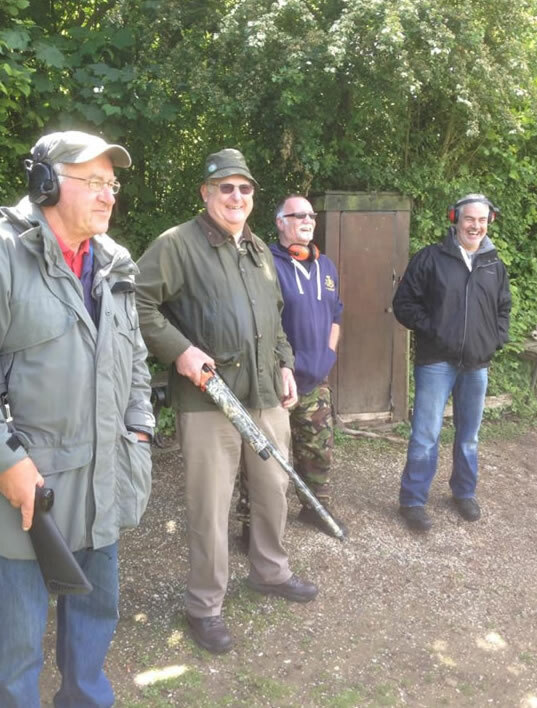 We specialise in providing corporate event shooting suitable for novices and experienced shots alike. All days can be tailored made to suit your particular requirements. Any day of the week is available by appointment. Prices start from £40pp for a fifty target shoot inclusive of everything . Catering options are available at an extra cost. Minimum party size is ten persons with discounts available for larger groups. Gift vouchers: are available for that ideal Christmas or birthday present. Please contact us for further details. We operate a small canteen on every shoot for that all essential bacon roll and a hot drink. The ideal starter for a mornings shoot !